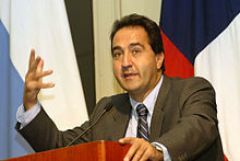 Chilean university students announced today that they will mobilize once more during the second week of September. These student protests demand better quality of education and reject government intervention, such as the proposed tax reform. 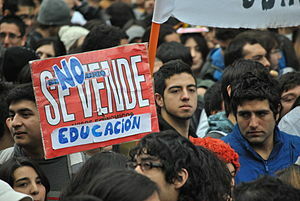 Students’ pleas for a restructuring of the Chilean education system have not been addressed by the Chilean government. Santiago Mayor Pablo Zalaquett and Education Minister Harald Beyer have responded to a month of student marches and occupations by calling for students to return to school when in opens, on September 20th: “We are making an appeal to the youth, we encourage them to fight for their right to quality education through peaceful marches and cultural acts, but they must stop missing school because there are not going to be special laws for them,” Zalaquett said. In 2011, 70,000 students were held back when the school system was paralyzed due to similar school occupations. This entry was posted in About K-12 International Education News, Newspaper Articles and tagged chilean students, education, santiago mayor. Bookmark the permalink.